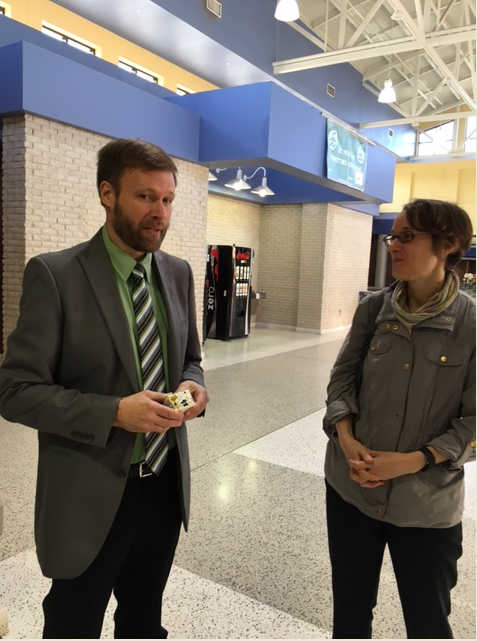 When I visited Liberty County School System in Hinesville, Georgia, which is part of AASA’s school breakfast Community of Practice, it was clear that the district’s success is in part because of strong community support. On every school breakfast site visit we attend, we meet with the district’s School Breakfast Team. Liberty County’s was one of the largest SBT meetings I’ve ever attended!. The meeting included two parents, a representative from the United Way who was also a parent, and many diverse stakeholders within the school system. They discussed the ways in which the new breakfast program – eating breakfast in the classroom in the elementary schools and getting breakfast from kiosks in the middle and high schools – has impacted the community as a whole. 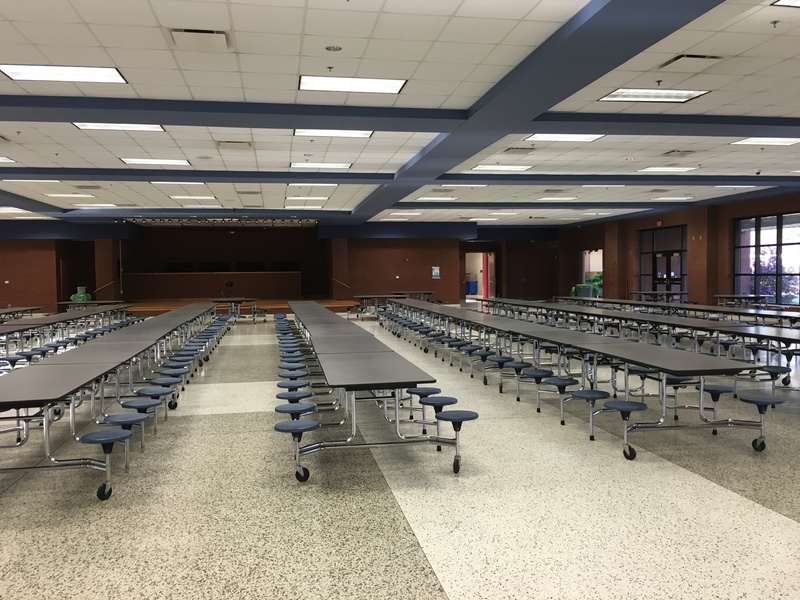 "This used to feel like an emotional pressure cooker," said Linda Holland, Liberty County’s Food Service Director, about the school cafeteria before moving to breakfast in the classroom. A parent said that breakfast in the classroom helped her son, who has ADHD, start his day off with focus, because having breakfast with his teacher meant that he wasn’t going to be playing in the cafeteria. "I thought breakfast outside of the cafeteria was going to be a nightmare; it was one of the worst things I had ever heard,” stated a high school principal about Grab’n’Go. “I was wrong. Breakfast [on the kiosks] has reduced the number of tardiness and late comers and it has increased our instructional time." 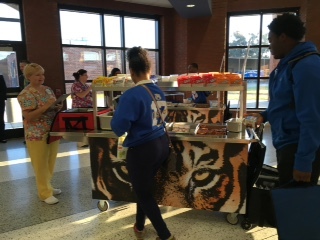 The kiosks have resulted in an impressive uptake in school breakfast in Liberty County’s high schools. As school administrators know well, it’s hard to get high school students to eat first thing in the morning, but this district is doing it well; about 40% of the students at two high schools take a breakfast in the morning. The Grab‘n’Go kiosks at Bradwell Institute feature a tiger image, which was chosen by students. In districts with high free and reduced meal rates, an increase in breakfast participation makes a difference in the lives of students and their families. Learn more about AASA’s School breakfast initiative.